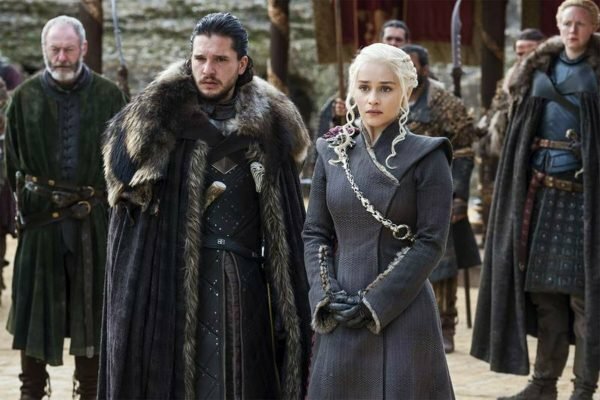 Game of Thrones Season 8 Australia: Why the show is so popular. After 596 long days (yes, it’s really been that long), Game of Thrones is finally back on our screens for its eighth and final season. Across the world today, millions upon millions of viewers are expected to sit down and watch the season premiere. But while the new season of Game of Thrones is set to break ratings records, the show didn’t exactly start out as a global blockbuster. Listen to Mamamia’s daily news podcast, The Quicky, on the Game of Thrones phenomenon. Post continues after audio. You see, although it’s hard to imagine a world where Game of Thrones isn’t the huge cultural phenomenon it is today, the show’s fate was almost very different. Though it was never released to the public, the original pilot of the show was described by the showrunners themselves as an absolute “piece of sh*t”. “Watching that original pilot was one of the most painful experiences of my life,” showrunner Dan Weiss said at the time. Now, eight years later, what began as a scrappy upstart has become the biggest and most popular show in the world. From owning the record for the most pirated show in history to even influencing the way we name our children, the show’s popularity is unrivalled. But how did Game of Thrones become as big as it is today? Speaking to Mamamia’s news podcast The Quicky, doctoral researcher in TV and film Julie Escurignan explained why the fantasy drama is so popular worldwide. “I think we love it for a number of reasons,” Escurignan, who wrote her thesis on the Game of Thrones phenomena, said. “It’s an HBO series so the quality of the TV series overall is really good. We have great actors and we have great movie makers. But originally I think we just have a great story overall,” she continued. “George R.R. Martin’s story has so much depth – the characters, the storylines, the plot. The fact that you have so many characters, it’s impossible not to like at least one or recognise yourself in at least one,” she added. Escurignan also explained that Game of Thrones is a big rule breaker in pop culture. "It breaks one of the main rules of TV and film." Image: HBO. "It&apos;s a TV series that breaks one of the main rules of TV and film because it kills its main characters," she said. "I think from the moment they started killing their main characters in season one, it became so huge because people were like &apos;Wait, what is this&apos;." Escurignan, who considers herself one of the biggest Game of Thones fans, also shared her thoughts on who will take the iron throne. "Personally, I think that the Night King is going to live and kill everybody else because I just don&apos;t know how they will kill him," she said. "I do hope the living will win but I don&apos;t have much hope. I think George R.R. Martin wants to kill everybody in the story." 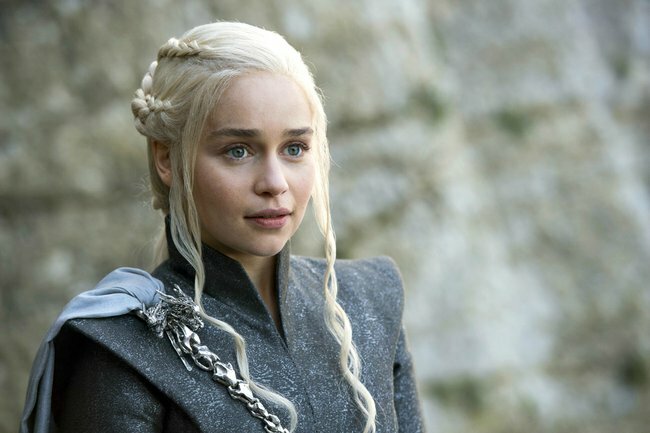 Season Eight of Game of Thrones will be available to watch on Foxtel channel FOX Showcase from April 15. You can find out more about how to watch Game of Thrones in Australia right here. The 7 most convincing fan theories about season eight of Game of Thrones.